22nd & Philly: Have You Tried the New Orleans at Plenty Cafe? 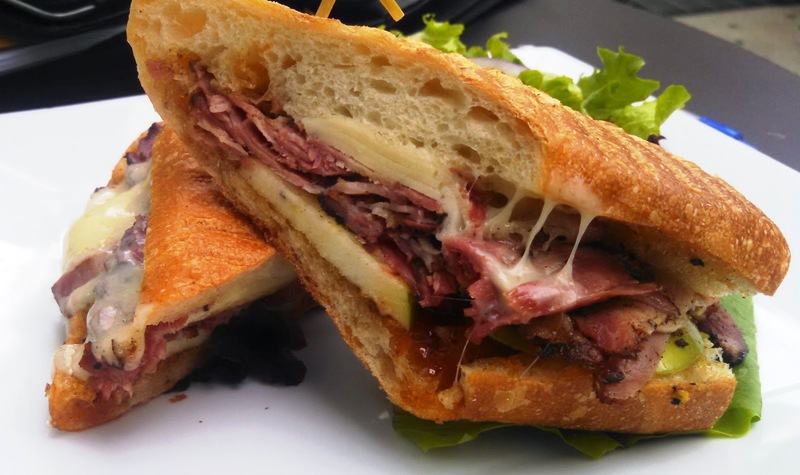 Have You Tried the New Orleans at Plenty Cafe? Keeping up with best new and old sandwiches in Philadelphia is difficult with only one stomach and limited time. Without your recommendations to help prioritize Sandwich Quest, I'm merely a one man rowboat trying to cross an endless ocean of sandwiches. @22ndandPhilly: Guys, have you had the New Orleans at Plenty? I feel like this would be a worthy subject for your sandwich quest. Tim was right - the New Orleans is certainly a worthy subject for Sandwich Quest. 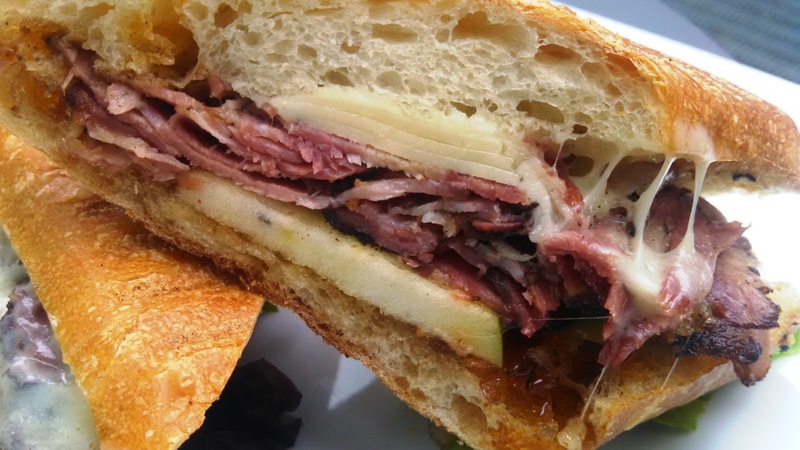 Pressed between halves of a demi-baguette, the cured and smoked spicy tasso ham, sliced green apple, fig jam and gruyere make for a delicious sandwich. I don't recall having tasso ham before, but the spicy, peppery flavor is the star of the show, making this sandwich stand out from others in Philadelphia. As I reported back on Twitter, the sweet fig jam combines perfectly with the spicy ham to make the New Orleans a must-try sandwich. It's expensive at $10.50, but the final product is worth the price of admission. Since the first visit, we have also tried the pesto chicken, Texas brisket and Seoul sandwiches as take out. All were just fine, but none of them came close to the New Orleans and the brisket is the only one I'd recommend. Has anyone tried others or disagree? Please tell us about your favorite sandwiches and restaurants via Twitter, Instagram, email, whatever. Hearing about all your food experiences is a big reason why we write this blog! Frankly, it's the interaction with all of you that keeps us going. Also, check out a guest contribution from @TRappaRT - How to Make a Turducken. Just in time for Thanksgiving, it's an epic post full of humor and tips to make your own legendary monument of meat.